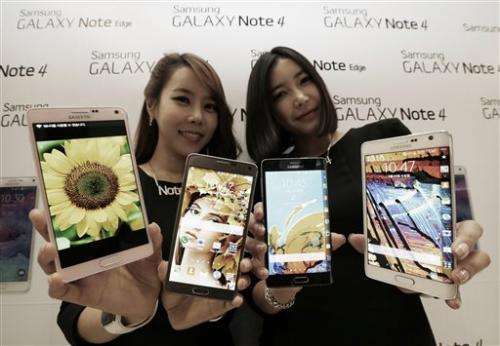 Samsung Electronics Co. said Wednesday its latest Galaxy Note 4 smartphone will go on sale in China and South Korea later this month as its flagging mobile business tries to defend sales from Apple's new iPhones. Samsung's announcement marks the first time the South Korean company has released a flagship smartphone in China before other major overseas markets. Apple's iPhone 6 has yet to arrive in China, the world's most populous country. But Apple Inc. still chalked up 10 million sales of the iPhone 6 and 6 Plus models in the first three days after the phones went on sale. 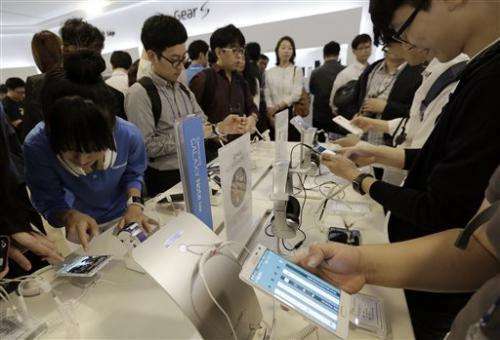 Samsung's early move in China comes as the South Korean company faces challenges on multiple fronts. Its profit from the crucial mobile business has flagged and local brands in India and China have dented its sales of cheap phones. Apple's new iPhone 6 with its larger screen than previous models eliminates a key advantage for Samsung that lured buyers with the big screens of its Galaxy phones. 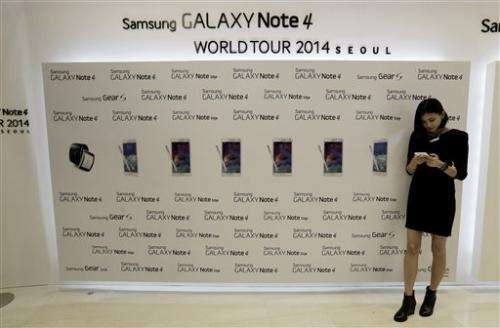 The Galaxy Note 4's display measures 5.7 inches diagonally, slightly larger than the biggest iPhone. The Note series comes with a stylus that Samsung calls "S Pen" for note taking and drawing. "Other companies are releasing smartphones with 5-inch and 6-inch displays as well but no one can easily catch up to Samsung's big screen and the unique capability of the S Pen," Lee Don-joo, president of Samsung's mobile sales and marketing, told reporters. 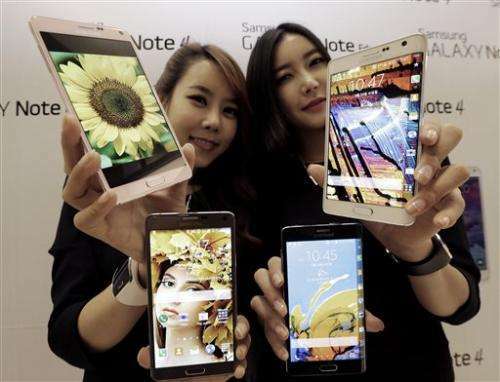 Lee said sales of the Note 4 smartphone will likely beat the Note 3, its predecessor. He said the tough situation for Samsung is "temporary" and Samsung will quickly revive its business. Samsung is scheduled to give an earnings preview early next month. Its shares have sunk to a two-year low this week. Samsung said the Galaxy Note Edge, which has a curved side screen that serves as a second screen to display weather information, a clock and menu buttons, will start going on sale in late October. But the Edge smartphone is meant to be a "limited edition" rather than a mass market model, Lee said.